In a rematch of their semifinal last year, both sides open the 2019 season with one point. On the opening day of the 2019 NWSL season, two of last year's semifinalists played to a 1-1 draw. 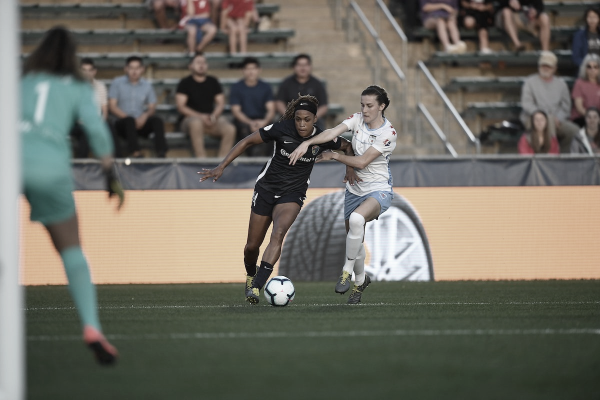 Reigning MVP Samantha Kerr scored for the Chicago Red Stars in the first half, but USWNT attacker Crystal Dunn pulled the North Carolina Courage back level in the second half. The Courage was the team that controlled a large majority of the match, out shooting the Red Stars 24-6. In the 15th minute defender Abby Dahlkemper took a corner that resulted in three shots by the Courage that were blocked before her USWNT teammate McCall Zerboni's attempt went wide. Then, in the 25th minute Irish international Denise O'Sullivan took a volley that went over the crossbar. At the time this was the Courage's ninth shot of the match while the Red Stars were yet to take one. In the next minute the Red Stars took their first shot and scored. Japanese international and 2011 World Cup Champion Yuki Nagasato played a perfect ball through to Kerr who rounded Courage and Canadian goalkeeper Stephanie Labbe to slot the ball into the net. It was the Red Stars' only shot on goal in the entire match. The Courage began to push for an equalizing goal. In the 41st minute Dunn sent a long ball in the air to 2016 MVP Lynn Williams. Williams chested the ball down and launched a hard shot that Red Stars goalkeeper Alyssa Naeher pushed away by diving. With this save she was able to help her team maintain their lead entering halftime. In the 60th minute a buildup by the Red Stars found defender Arin Wright opened at the back post, but she narrowly missed her shot. Then, six minutes later, the reigning NWSL champions got an equalizer. Striker Jessica McDonald threw the ball to Dunn who was wide opened, and Dunn took a shot that was deflected into the net. The Courage had a great chance to take the lead in the 79th minute when Dahlkemper's corner kick found the head of New Zealand international and Courage captain Abby Erceg, but Naeher was able to tip the ball away. The Red Stars also had a chance to take home three points. In the final minute of the match, Kerr hit a volley off the underside of the crossbar. The Courage dominated the statistics of this match. They had 13 corners to the Red Stars’ 11, 440 passes to the Red Stars’ 309, and 60 percent of the total possession. However, as we often saw last year, they were unable to finish many of their chances. 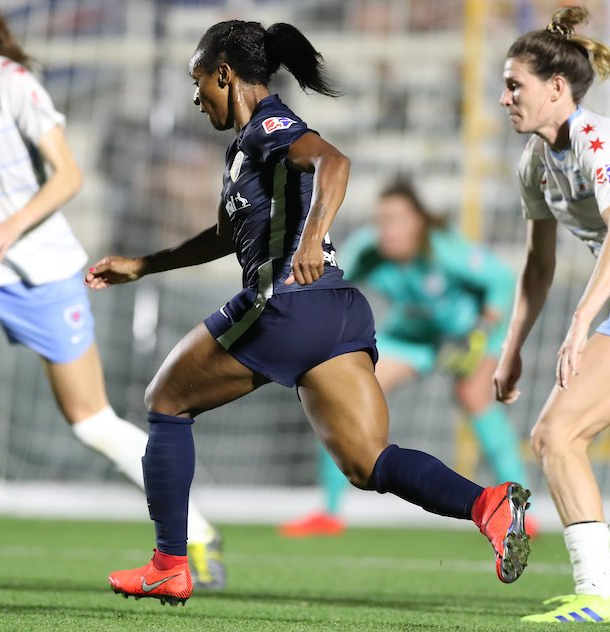 The North Carolina Courage (0-0-1) host the Orlando Pride next Wednesday, and the Chicago Red Stars (0-0-1) play their home opener against the Portland Thorns FC.